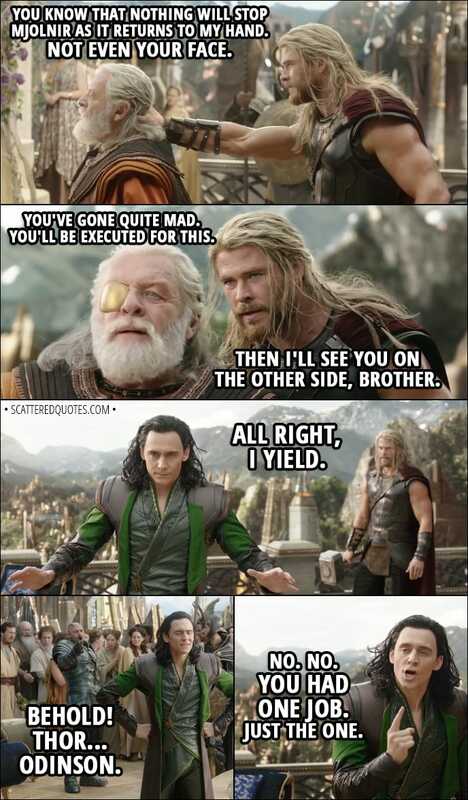 Thor: You’re really gonna make me do it? Thor: You know that nothing will stop Mjolnir as it returns to my hand. Not even your face. Loki: You’ve gone quite mad. You’ll be executed for this. Thor: Then I’ll see you on the other side, brother. Loki: No. No. You had one job. Just the one. 18.2.2018 You had one job. Just the one.